Let me start by saying that I’m starting to feel a tiny bit of pressure with this blog! I feel like I have to keep up some level of creativity in the kitchen so that I have something to post. This is good, I guess, except for when I’m not feeling very creative. So…this brings me to Monday night’s dinner. I had some ground turkey I needed to use and was in the mood for chili. I know just about everyone has a chili recipe they use but this one is a little different and it was very tasty. It’s an easy and healthy week night meal idea. 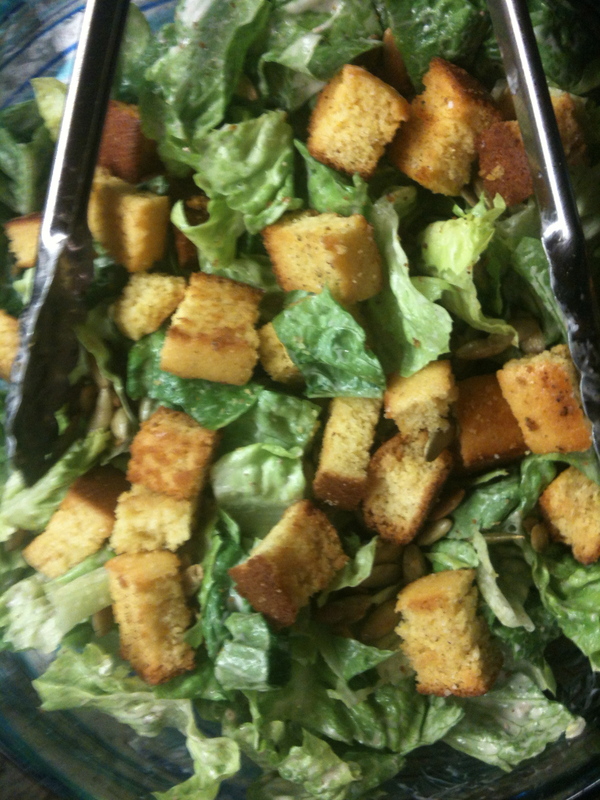 I served it with a yummy Caesar Salad with home-made corn bread croutons (Well…sort of home-made. 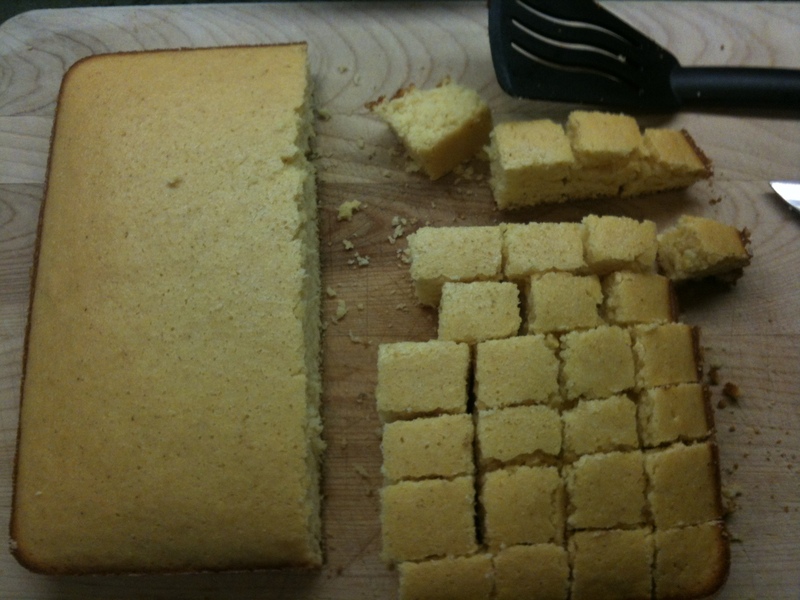 The cornbread was Marie Calendar’s Instant mix. It WAS a weeknight after all). To keep it easy I used a bottled dressing that I added a little fresh cilantro to. I do have a great home-made Mexican Caesar dressing that I will post some time soon but once again…this was a week night! Heat the oil in a heavy, large pot over medium-high heat. 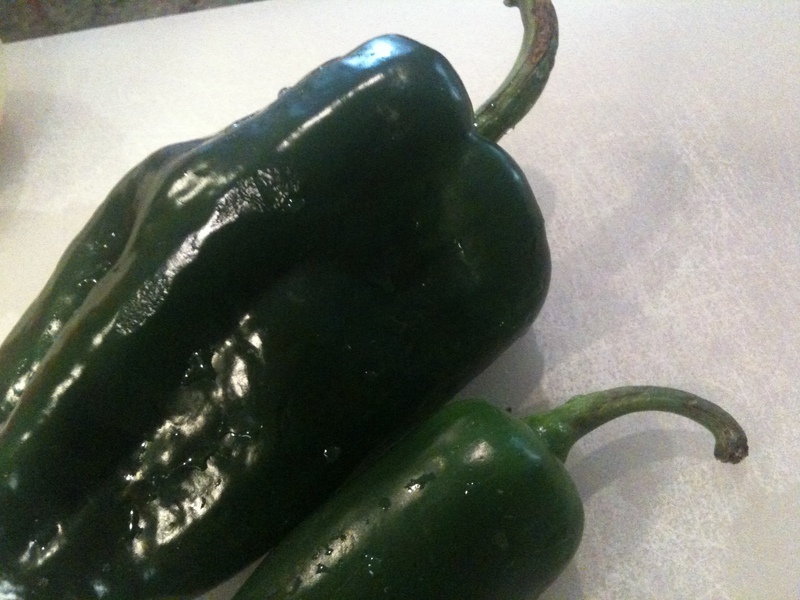 Add the poblanos, jalapeno and onions and garlic. Saute until the vegetables soften, 5 to 6 minutes. Add the turkey and brown until no longer pink, breaking up the turkey with the back of a spoon, about 7 minutes. Sprinkle the masa or flour over and stir to blend. 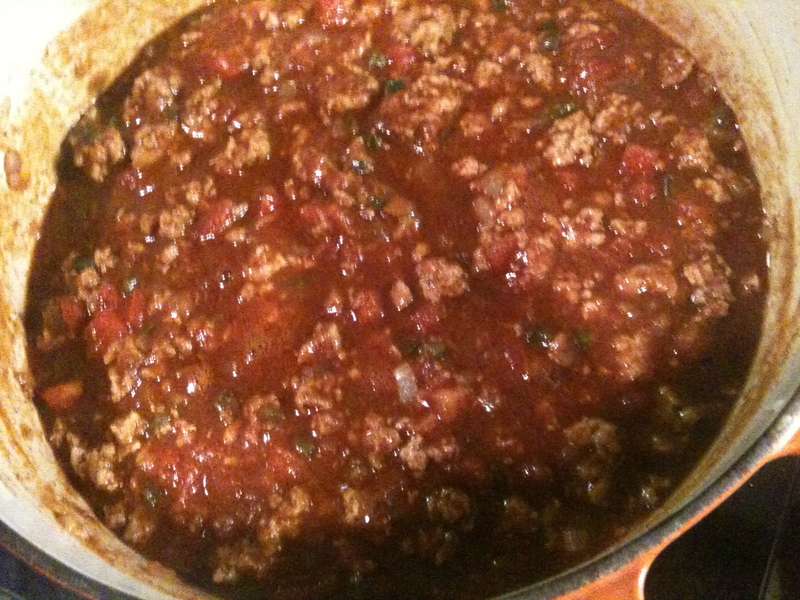 Add the beer, tomato paste, tomatoes, chili powder, cumin, sugar, oregano, 1 teaspoon salt, and 1/2 teaspoon pepper. Stir until well blended and bring to a simmer. Cover and simmer for about 30 minutes. 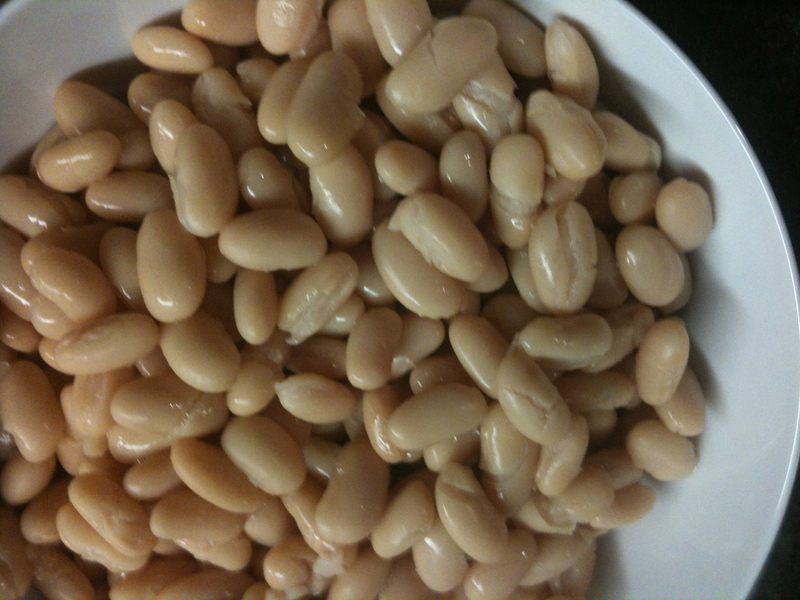 Add the and beans and cook for another 10-15 minutes. Add more salt and pepper if it needs it. While the chili is cooking, cook 1 cup of quinoa (follow package directions). I cooked mine with chicken stock for extra flavor but water is fine too. 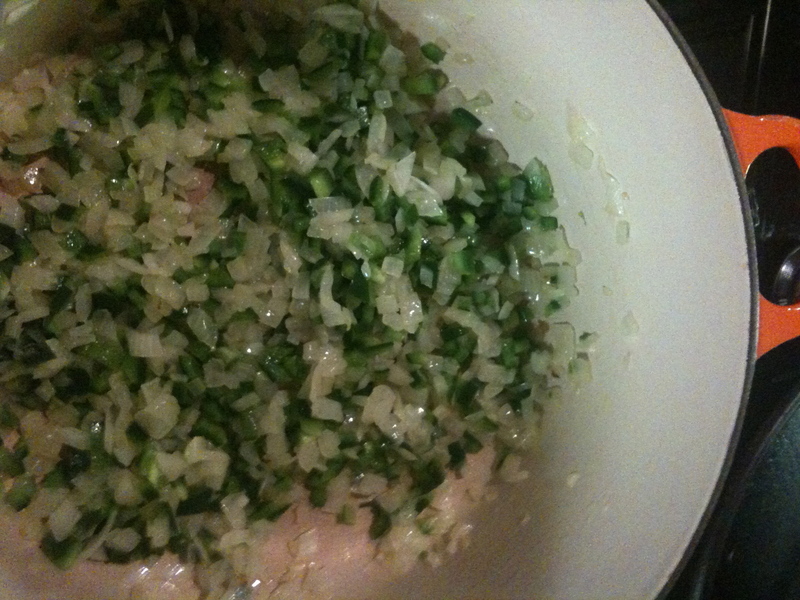 Once it is done mix in some fresh chopped cilantro and a squeeze of fresh lime juice. Add salt and pepper to taste. 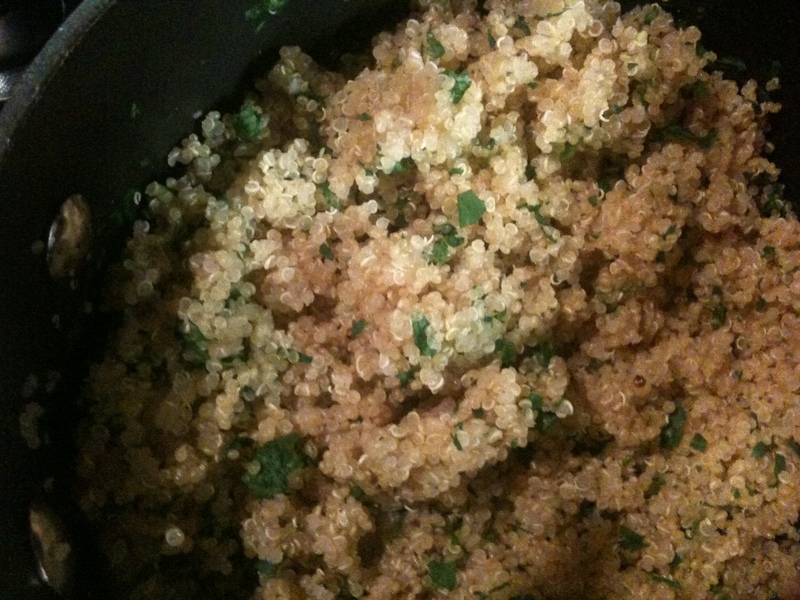 To serve, spoon some of the Quinoa and Cilantro into a bowl and top with the Chili. Garnish with all the yummy extras. 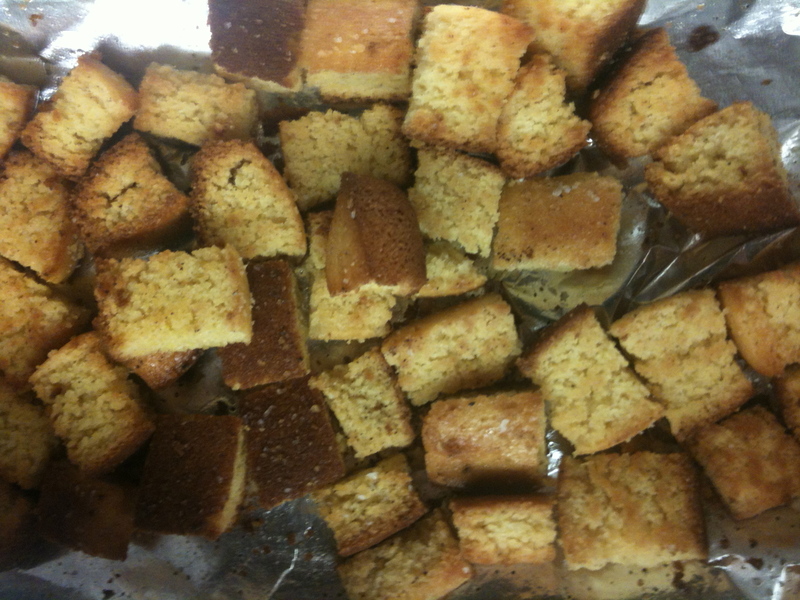 For the croutons I made a package of Marie Calendar’s Cornbread. Then I just cubed it up after it had cooled, put the cubes on a foil lined baking sheet, and sprayed it with some EVOO (I have a cool olive oil pump that I love). Season with salt and pepper then bake at 350 for about 20 min. Give them a turn about half way through. For the salad I just tossed some good crisp romaine with some Caesar dressing, roasted pepitas (pumpkin seeds) and the croutons. Masa Harina is the Mexican corn flour used to make the masa (dough) for tamales. It’s a great thickener for chili so I usually have it on hand. The Quinoa I use is from “Bob’s Red Mill”. It’s a really good organic Quinoa that has been pre-rinsed so you don’t have to rinse it. Quinoa can be bitter if it is not rinsed really well before cooking. Bob’s Red Mill is a great brand and I use a lot of their products. It’s sold in most grocery stores where ever the natural or health food section is. I also tried a new Caesar dressing. 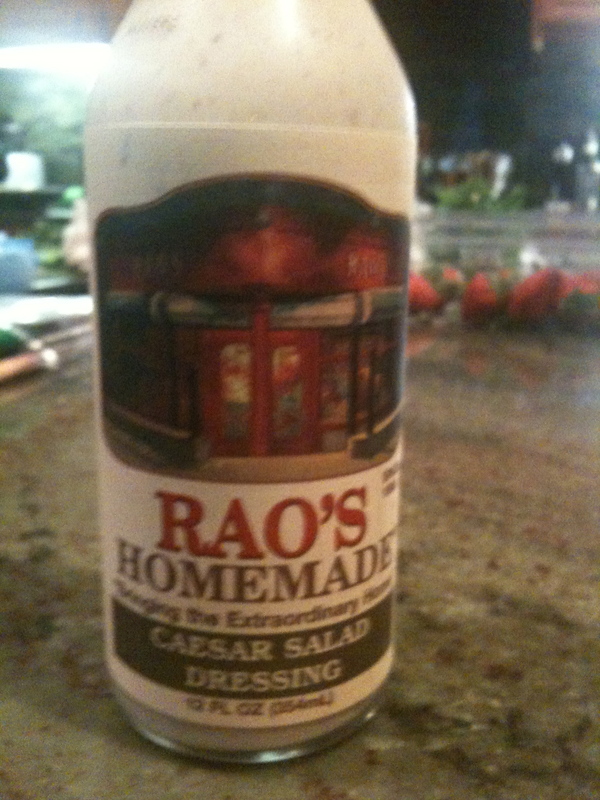 The brand is “Rao’s” and I thought it was really good. If you know me, you know that I’m sort of an freak about ingredients and I check labels thoroughly on any packaged foods. This dressing is all natural and as close to something I would make at home as I could find. I here Trader Joe’s has a good one too. Just did this tonite. Excellent! I rearranged the steps a bit to make a non- spicy version for the kids and then a regular version for us. Both versions tasted great! Thank you!!! Thanks for trying the recipe! So glad you liked it!